Our friend Nicolas will be performing his folk pop tunes in Antwerp tonight as Glaciers. He is also having a mini show of his artwork and as I'm typing this, finishing a brand spanking new zine. He is part of UK art / illustration collective Nous Vous. 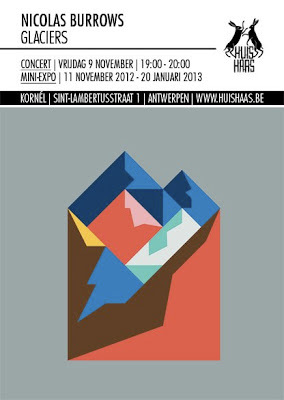 Illustrators out there will probably be familiar with Nous Vous work, if your in Antwerpen tonight, come down, check out this renaissance man for yourself.